The Fana Collection | Long Jewelers Virginia Beach Shop Now! Fana is a name synonymous with beautiful jewelry, stylish design, and exquisite craftsmanship. Fana jewelry is truly exceptional: a combination of feminine grace and luxurious beauty, with every piece crafted being a work of art. Meant to be cherished, their timeless fine jewelry connects individuals and generations making wearing a Fana design a special experience. Every Fana creation is shaped by hand and decorated with stunning diamonds and precious gemstones right in the heart of New York City. While each piece of Fana jewelry is unique, each one carries the Fana Touch, or the combination of careful detail and stunning beauty. 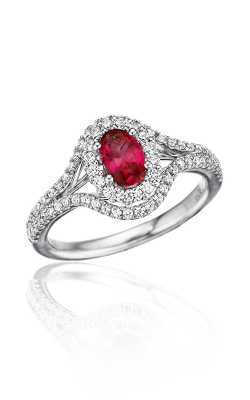 At Long Jewelers in Virginia Beach, you can explore a wide selection of stunning gems by Fana. Long Jewelers is an authorized retailer of Fana collections, offering the latest designs for every season and occasion. Customers in Virginia Beach and nearby cities such as Norfolk, Portsmouth, and Suffolk visit Long Jewelers when they seek the latest in Fana designs. Whether you’re celebrating your love with a special engagement ring or bringing beautiful jewelry into your every day with one-of-a-kind fashion rings, bracelets, necklaces or earrings, there’s a Fana collection that captures your special style and reflects your special beauty. Fana engagement rings are incredibly special pieces of jewelry, reflecting the love shared between two people as well as boasting superb and stunning designs. Fana offers collections that suit every bride to be and every style, from the vintage and timeless designs of the Fana Classic, Vintage, and Antique collections to the modern rings decorated with diamonds in the Halo and Designer collections. Beyond the realm of engagement rings, Fana crafts colorful and dazzling designs that bring together the brilliant shimmer of white diamonds with gemstones in vivid hues. From clean, classic bangle bracelets to glistening fashion rings and striking pendants to hoop earrings, Fana jewelry encompasses every possibility for every woman. With the largest jewelry showroom in Virginia, Long Jewelers offers an incredible collection of the world’s most sought after designer brands in addition to a vast variety of choices by Fana. At our Virginia Beach Blvd. store, customers can discover Fana designs as well as collections by Forevermark, Jeff Cooper, Hearts on Fire, and countless other luxury jewelry brands. 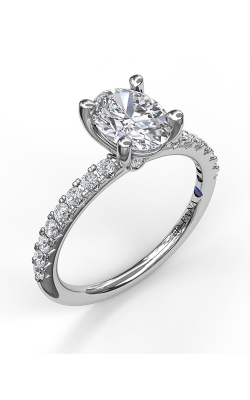 From fine fashion jewelry to engagement rings to wedding bands to timepieces, Long Jewelers offers a choice for every jewelry or timepiece seeker. In addition to our role as an authorized retailer of many exquisite jewelry and timepiece options, Long Jewelers also offers a host of services to keep your pieces perfect for years to come. Our team includes jewelers, a master watch maker, a team of G.I.A. graduates, and a diamond cutter to meet every possible need. Discover the customer service and selections that make Long Jewelers a Virginia Beach staple for designs by Fana and more.